Will the Junior Deluxe Hand Grain Mill grind popcorn kernels? Will Popcorn Kernels grind in the WonderMill Junior Deluxe Hand Grain Mill? 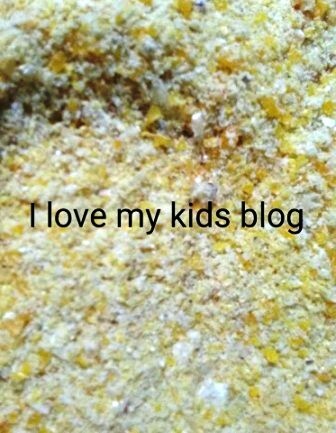 Depending on how long you’ve been following I Love My Kids blog, you may remember my review on the Wonder Junior Deluxe Hand Grain Mill by WonderMill that I posted a while back. Since I received this hand grain mill, I’ve wanted to try grinding popcorn kernels and making cornbread from scratch, today was finally that day! I’ve seen other hand grain mills that can’t handle popcorn kernels, so I knew I wanted to put this WonderMill hand grain mill to the test! 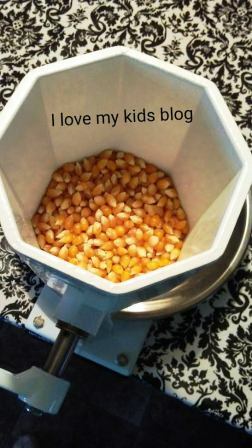 First thing this morning after I got the kids off to school, I grabbed my Junior Deluxe grain hand mill, attached it to my table and poured in some popcorn kernels. I had attached the stone burrs and began grinding as they were the recommended burrs to use. Popcorn kernels are hard little buggers, so grinding them took a fair amount of effort. I needed a bit more leverage so I attached it to the kitchen counter instead. Unfortunately, it wasn’t tight enough (and I’m kind of wimpy and couldn’t make it any tighter) so it scratched my counter a little bit when it detached. I eventually moved out to the shop where my much stronger husband clamped it down tightly to the counter-top out there and it went MUCH better! I’ haven’t used the mill at my new house yet, so finding the right spot to do the grinding took a little bit of work. 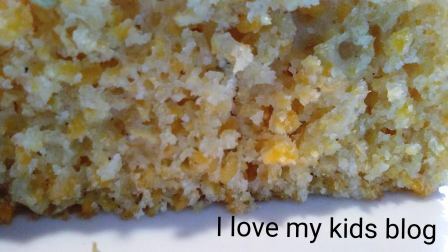 I was able to grind the popcorn kernels but it wasn’t as fine as I had seen in the video on their Will It Grind website, I think I must have had something connected wrong. 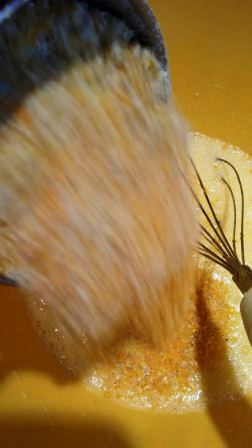 Check out how fine it is when the hand grain mill uses the drill attachment power option! I ended up switching to the stainless steel burrs and it ground much finer! 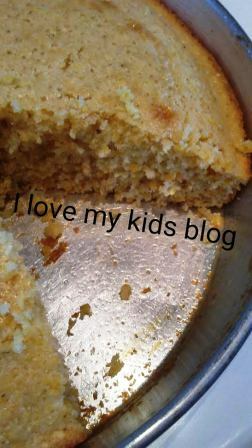 I loved that I could see the fresh ground cornmeal goodness in the cornbread! The electric mill I purchased at a yard sale years ago won’t grind popcorn kernels without destroying the machine, so I am glad that I have the Wonder Junior Deluxe Hand Grain Mill in my cabinet so I can make fresh cornbread for my husband anytime he’d like! The whole pan is almost gone and I promised I’d make more and not wait 12 years to do it! 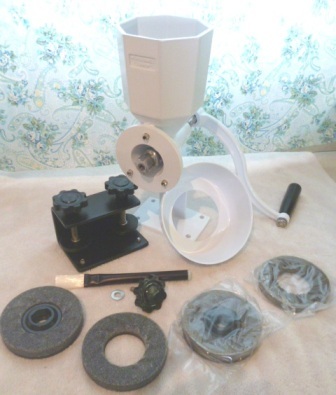 You can get more details on the Wonder Junior Deluxe Hand Grain Mill HERE and see where to buy if you’re in the market for a hand mill! 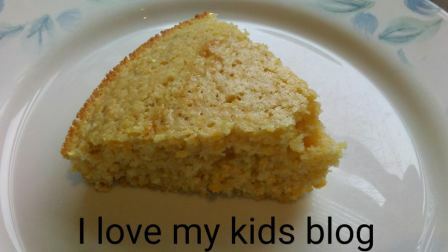 Do you like cornbread? 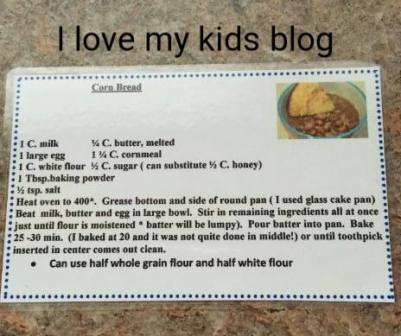 Give the recipe a try and let me know what you think! Disclosure: I received the product mentioned above to gain an opinion to share with you. regardless of our arrangement I was not required to share a positive opinion. The views expressed above are my own. Thanks for reading!